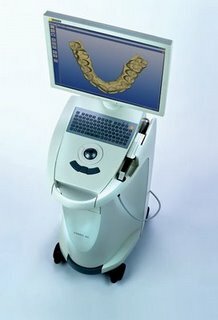 Introducing the All New Cerec BLUECAM !! The CEREC AC (Acquisition Center) features the Bluecam handheld acquisition camera, which uses a highly visible blue light LED (light emitting diode) to capture digital impressions. The camera is engineered to capture maximum detail, simplify acquisition, and shorten acquisition time. Seeing CAD/CAM in a New Light! * Only one appointment – Start to finish. * Unquestionably the most cost effective restoration we have available today. Polishing or glazing ensured a pleasantly smooth and natural feel. Typically, the whole procedure will last between one and two hours. A CEREC tooth restoration isn't just convenient, it is also healthy. Many years ago, dentists had few options to repair decayed and damaged teeth other than amalgam (mercury-silver fillings), gold, and other metals. With CEREC, Dr. Mastis can use strong, tooth colored ceramic materials to restore your teeth to their natural strength, beauty, and function. These materials closely match the composition of natural tooth structure. This means when you eat hot food and then drink something cold, the restoration and tooth expand and contract at almost equal rates. So, your tooth does not crack, and you can go on enjoying your evening. Also, the materials are metal-free and are chemically bonded to your tooth, so your dentist can save as much healthy tooth tissue as possible while providing you with a dental restoration that strengthens your tooth. Your smile makes a lasting first impression. 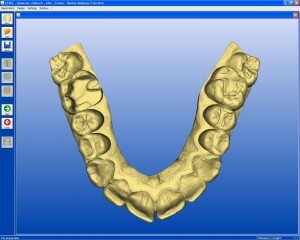 Enhance it with CEREC restorations. Worldwide, a CEREC restoration is placed every 20 seconds. With a history of over 20 years, this equipment has helped dentists place over 6 million restorations. Using metal free materials that are the closest to your natural enamel, CEREC gives you the highest quality restorative care.